Digging through the nail section at Winners is one of my favourite things to do on a day off. You honestly never know what you're going to find. I usually have really good luck with OPI. One time I found a discontinued polish from the 90's (OPI Bittersweet Chocolate, 1995) and another time I found a full OPI collection that wasn't even supposed to be released until the next week! Awesome. Today's find isn't nearly as exciting at those, but for $9.99 CAD I was still really looking forward to trying it out. It's the Ready for Takeoff! Kit which includes both a polish remover and a corrector pen, neither of which I've tried from OPI in the past. So let's take a look! 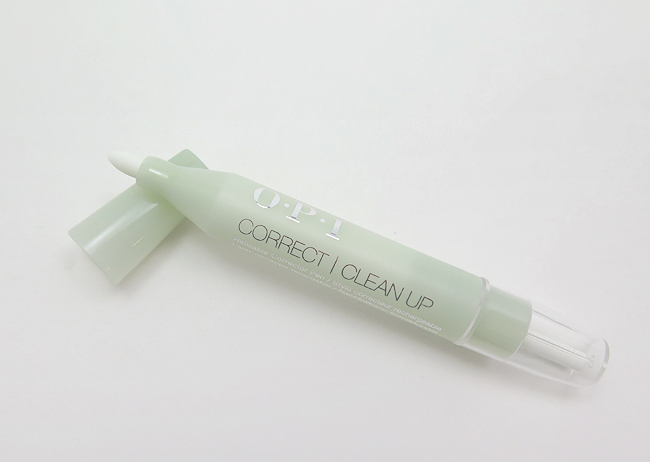 First up is the OPI Correct & Clean Up Corrector Pen in full size (woohoo!). It has firm marker-like tips that soak up the remover from inside and you can use it like a clean up brush to clear spillage and flooding around the cuticle. It comes with a second tip and from what I've seen online it's also refillable, but the one major downside is that if you use it with a really saturated colour it stains the tip. :( I also found it doesn't release as much polish remover as I really need to do a good job, so for now I'll stick with my trusty angled brush and acetone. The remover did a good job, and I was pleased that it didn't dry out my cuticles. It claims to hydrate and nourish and I would say my nails and cuticles were pretty happy afterwards. I have other removers that I love just as much though, so I don't think I'll be switching over to this once my sample is done. 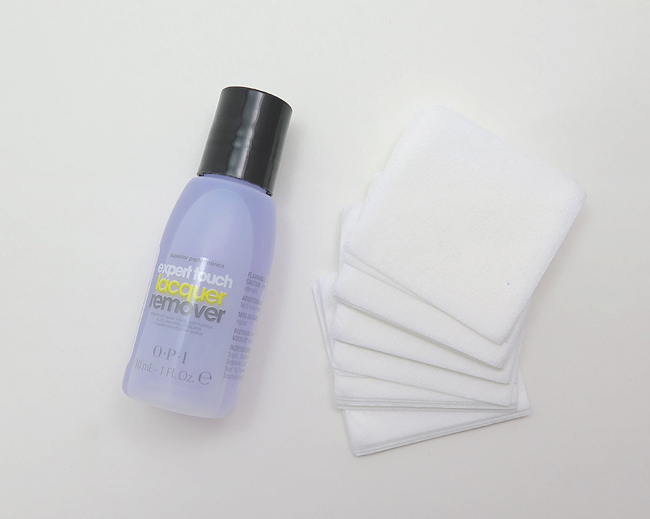 The wipes weren't my favourite because I found they didn't hold as much remover as my stitched-edge cotton pads usually do. I used them with the remover to fully try this kit out and now that that's done I'll probably throw them out. lol. Gotta be honest! Overall was this worth the $10? I'd say yes, if only because it let me try some new products. Would I get it again? No. I know some people that love this remover so I was pleased to be able to give it a try. And in theory I love the idea of corrector pens but I know that in reality they always let me down, and this one was no exception. Ah well! If you're looking for a kit for travel or if you are on the go and need to remove or fix polish in a rush I'd say this would be a pretty good purchase for you as it has everything you need and the price point is good. The full kit is also below the max liquids level you can carry on to a plane too, for those of you that care about that, so you could put it in your purse. For everyone else though I'd say stick with what you already use. So that's my thoughts! Have you tried any of these products? What did you think? I'd love to hear! 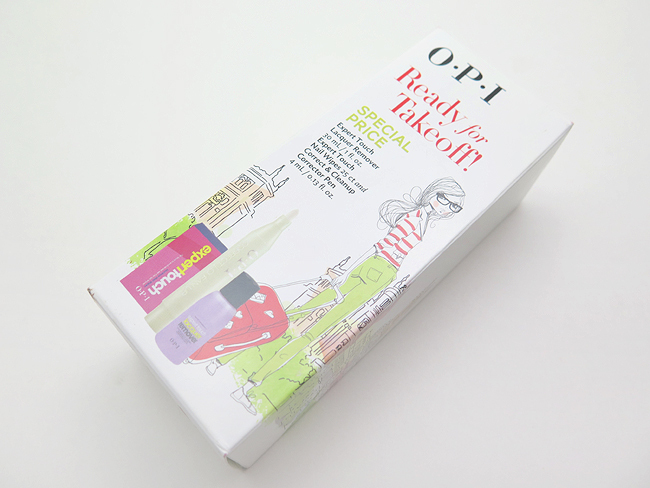 Great review on this OPI kit. It might be something for me to look into too since I like to try out new things myself. I've never tried any of their removal products! For 10 - it's a good deal, I actually expected it to be more! Hmmmmm this is intriguing. If I traveled more, I'd totally look into this. I love the correcting pens when I am away or on a trip! This is perfect for travelling indeed! Before I discovered angled brushes, I always used the pens. But not these, the ones from Essence (way way cheaper [OPI is ridiculously expensive here in NL] and equal quality). But when on holiday, those pens are way more convenient! What a handy little kit to have, perfect for traveling. I tried a Sally Hansen product similar to Correct & Clean Up and came to the same results. It took so much more effort to do a good clean-up than just a brush and acetone. I didn't know OPI made this! I always ruin those remover pens in a few uses haha. I wonder if they know UNT have a product with the same name?